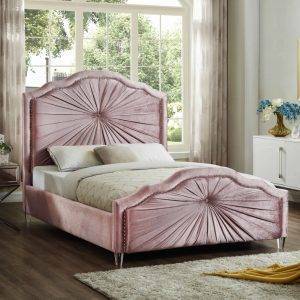 Dream big in the Porter grey velvet canopy bed. 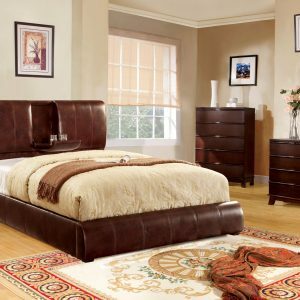 This handsome Meridian Furniture bed has a tufted headboard that stands a full 60 inches tall, giving the bed a regal and sophisticated look. 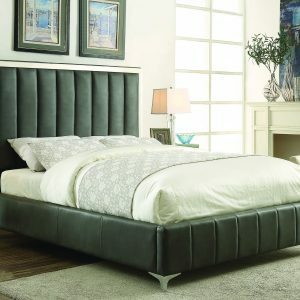 The headboard is tufted for added elegance, and the bed comes with a chrome canopy, adding to its overall elegance and grandeur. Grey velvet fabric used on the sides and headboard gives it a luxe vibe, and the headboard is heavily padded, making it an ideal backrest for reading or watching TV.